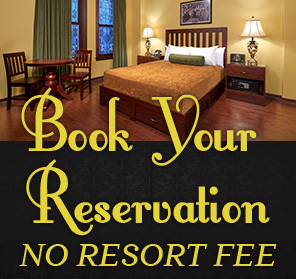 Binion's only collects Personal Information that you voluntarily provide to us. "Personal Information" is any information through which you can be identified and may include your name, date of birth, physical address, email address, telephone number, fax number, credit card information, and your purchase and reservation information. We collect Personal Information through various online activities, including, but not limited to, making room reservations, completing a credit application, or purchasing show tickets or other items. You can browse our website without providing any Personal Information. You will be required to provide Personal Information, however, to use some of the services offered through our website, including the reservation of a room and the purchase of other products and services. Binion's also collects information about you or your activities through which you cannot be personally identified ("Non-Personal Information"). When you use the Internet, your web browser or client software may transmit certain information to the servers that host the websites you visit. The information may include the IP number assigned to your server or Internet connection, the capabilities and features of your computer, your geographic location, and your movement within and interaction with our website, including what pages you look at and what information you download. When you visit Binion's websites, our servers collect such Non-Personal Information. We use this Non-Personal information to generate aggregate statistics about visitors to our website. In situations where it is possible to do so, Non-Personal Information may be linked to Personal Information. You can configure your browser to allow you to browse the Internet and Binion's website without cookies, or to notify you when each cookie is offered so that you can accept or reject each cookie. If you prevent your browser from accepting cookies, however, you may not be able to conduct some transactions or use some services on our website. Certain transactions and services offered while visiting our Binion's website may be processed or provided to third parties under contract with us for fulfillment and other purposes. When your Personal Information is submitted to these third parties for such purposes, we require those third parties to exercise reasonable care to protect your Personal Information and restrict the use of your Personal Information to the purposes for which it was provided. We may use Personal Information and Non-Personal Information to identify you as a customer of Binion's and to process and deliver the products and services that you order. We may also use such information to respond to your inquiries, complaints and other communications; and to contact you for other customer service purposes. If you are reserving a room or making a purchase, personal credit card information is obtained to secure payment for any item or service that you order. We may use Personal Information and Non-Personal Information for marketing purposes, including to notify you of special promotions, offers, and events, and for profiling or demographic purposes. Any email or other communication that we send to you will provide you with a way to opt out of future such communications. Personal Information and Non-Personal Information collected by Binion's website is stored on secure servers. Personal credit card information is stored in encrypted form. The secure servers are protected by firewalls and other standard security procedures. The secure servers are not generally accessible by unauthorized third parties, but could become accessible in the event of a security breach. Our staff is required to take reasonable measures to ensure that unauthorized persons cannot view or access your Personal Information. NEITHER Binion's NOR ITS SHAREHOLDERS, DIRECTORS, OFFICERS, EMPLOYEES, AGENTS, SUCCESSORS AND ASSIGNS (COLLECTIVELY, THE "Binion's PARTIES") WILL BE LIABLE FOR ANY DIRECT, INDIRECT, INCIDENTAL, SPECIAL, OR CONSEQUENTIAL DAMAGES RESULTING FROM THE USE OR THE INABILITY TO USE Binion's WEBSITE, YOUR TRANSMISSION OF PERSONAL INFORMATION TO THE WEBSITE, THE SERVICES OR ANY CONTENT CONTAINED THEREIN OR DOWNLOADABLE THEREFROM, OR ANY INFORMATION OBTAINED AT THE WEBSITE, THROUGH THE SERVICES, OR FOR THE COST OF PROCUREMENT OF SUBSTITUTE SERVICES OR RESULTING FROM UNAUTHORIZED ACCESS TO OR ALTERATION OF YOUR TRANSMISSIONS OR DATA, INCLUDING, BUT NOT LIMITED TO, DAMAGES FOR LOSS OF PROFITS, USE, DATA OR OTHER INTANGIBLES EVEN IF FORESEEABLE OR IF Binion's HAS BEEN ADVISED OF THE POSSIBILITY OF SUCH DAMAGES. YOU AGREE THAT Binion's' TOTAL LIABILITY HEREUNDER FOR DAMAGES, REGARDLESS OF THE FORM OF ACTION, SHALL NOT EXCEED THE ACTUAL TOTAL AMOUNT RECEIVED BY Binion's FROM YOU TO ACCESS THE WEBSITE AND/OR USE THE SERVICES THEREIN. IF YOUR USE OF THE WEBSITE, SERVICES AND/OR PRODUCTS RESULTS IN THE NEED FOR SERVICING, REPAIR OR CORRECTION OF EQUIPMENT OR DATA, YOU ASSUME ALL COSTS THEREOF. You agree to defend, indemnify, hold harmless and release Binion's Parties from and against any and all claims, damages, costs and expenses, including reasonable attorney's fees, arising from or related to your use or misuse of Binion's website, the services and/or any content contained therein or provided thereby, including, but not limited to, information from third-party web sites linked to the website. Certain areas and activities at Binion's and on Binion's website are intended for use only by persons 21 years of age or older. If you are under the age of 21, we ask that you do not access or attempt to access any portions of the website that are restricted to persons age 21 or older, including, but not limited to, any areas containing password-restricted information. We reserve the right to verify your age at any time for any reason and may refuse admittance or service to a person who does not have valid age identification at any time. In accordance with the Children's Online Privacy Protection Act, we do not knowingly collect or allow the collection of Personal Information from persons under the age of 18. If the parent or guardian of a person under 18 believes that the person has provided us with Personal Information, the parent or guardian of that person should contact us at privacy@binions.com and request that such Personal Information be deleted from our files. If a person under the age of 18 submits Personal Information, we delete the information as soon as we discover the source of the submission, and we do not use the information for any purpose.